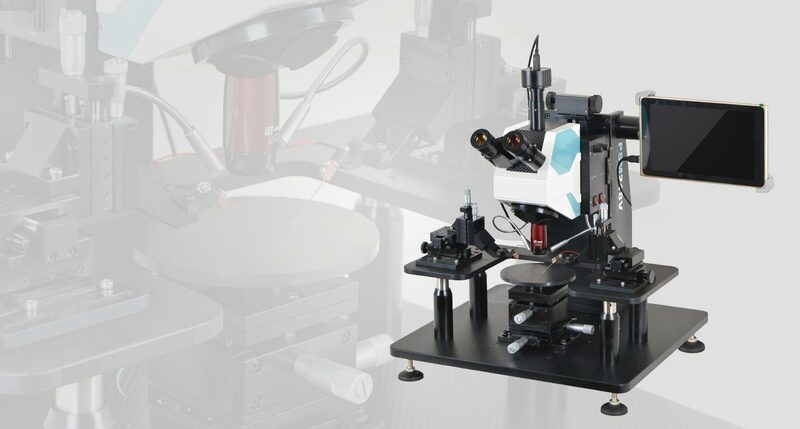 Holmarc's probe station microscope is equipped with infinity corrected optical system for viewing and placement of the probe tips on the sample contacts. The highly corrected Long working distance apochromatic objective provide super quality images. The long working distance plan Apochromat objectives permit multiple layered samples to be viewed. HO-PSM series microscope incorporates quadruple revolving nosepiece (4-lens changeover turret) with objective mounting thread of M26 X 0.706 and parfocal distance of 95mm. High bright white LED with intensity adjustable option is provided for both Epi-scopic and angled illuminations. 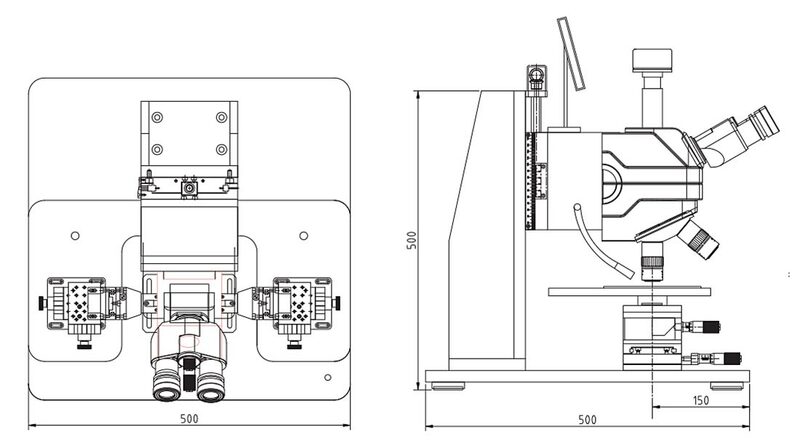 A 7-inch HD LCD is fixed directly to the microscope. Applications include failure analysis, LED, MEMS, optoelectronics, device characterization, wafer level reliability etc. We offer a complete set of accessories to allow you to position, navigate, and contact the wafer or device under test. LCD is fixed directly to the microscope. We design and manufacture instruments based upon your specifications, whether it’s a modification to an existing design, proprietary instrument manufacturing, or a completely new design. We ensure the client design remains secure and confidential throughout the entire process.